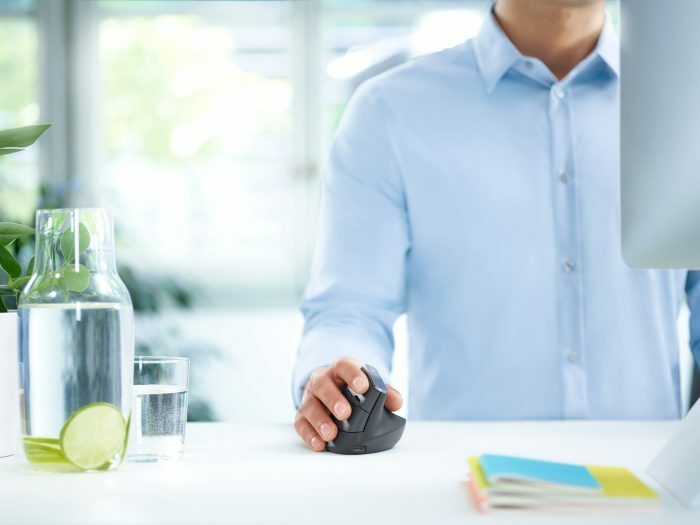 The Logitech MX VERTICAL is an ergonomic mouse designed to reduce forearm strain and wrist pressure through a natural handshake position, without compromising productivity. 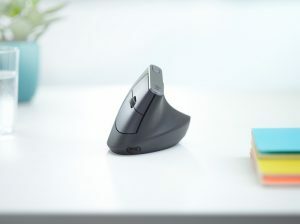 Its 57-degree vertical angle reduces muscular activity by up to 10 percent compared to a standard mouse without any loss in overall performance. MX VERTICAL features a 4,000 DPI high-precision sensor, resulting in up to 4x less hand movement and reducing fatigue. Cursor speed is adjustable with the touch of a button. Its rechargeable battery lasts for up to four months on a full charge, and a one-minute charge gets you three hours of use.